The Secret Life of Breakfast… because you never know what happens behind closed doors! 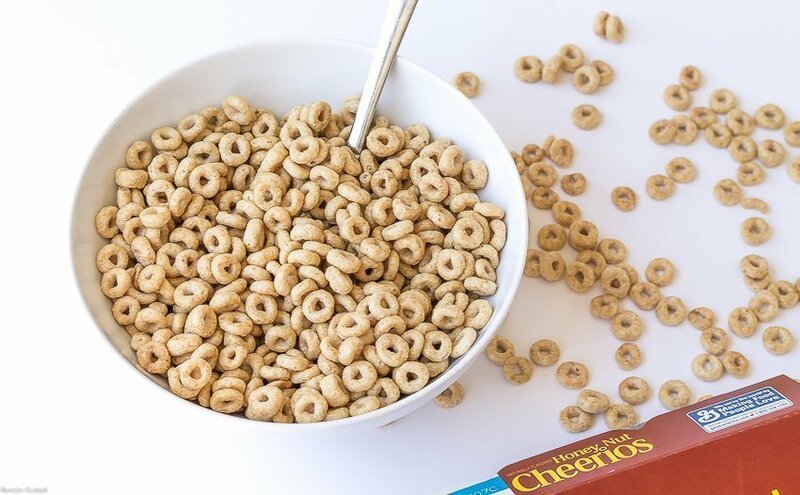 Start your family’s day of right with Honey Nut Cheerios. Who else is seriously excited that we only have one more week until The Secret Life of Pets opens? It has been ages since the casa crew went to a movie together and this is hands down the best flick to get us back into our movie-going groove! If you follow me on social media then you have seen this kitty girl nose her way into all kinds of family fun, not to mention she loves getting in the way when I am working! But I have always wondered what she gets up to when we are gone. And on July 8th when we go see The Secret Life of Pets the fam might get some insight! 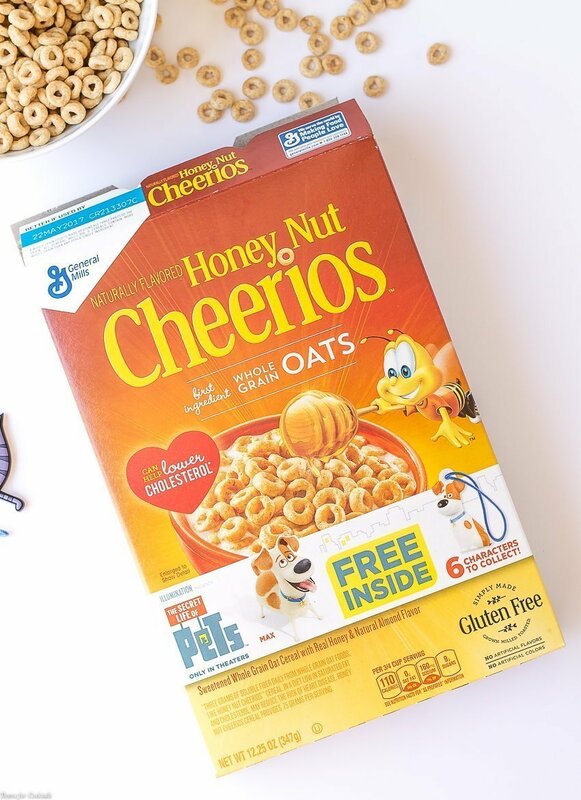 In the meantime we are excited to enjoy Honey Nut Cheerios made with real honey and whole grain oats. 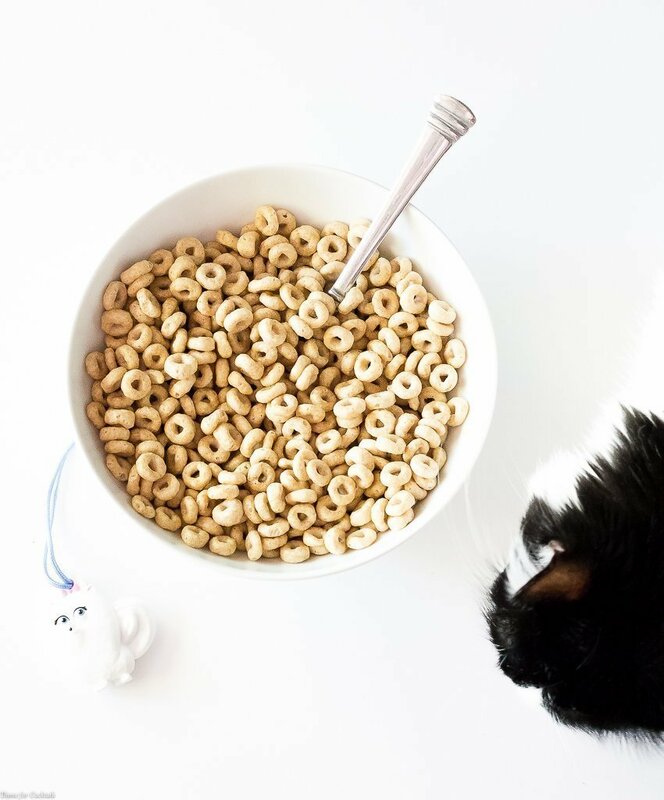 General Mills cereals like Regular Cheerios and Multi-Grain Cheerios have been a staple in our family since the kid was a baby. 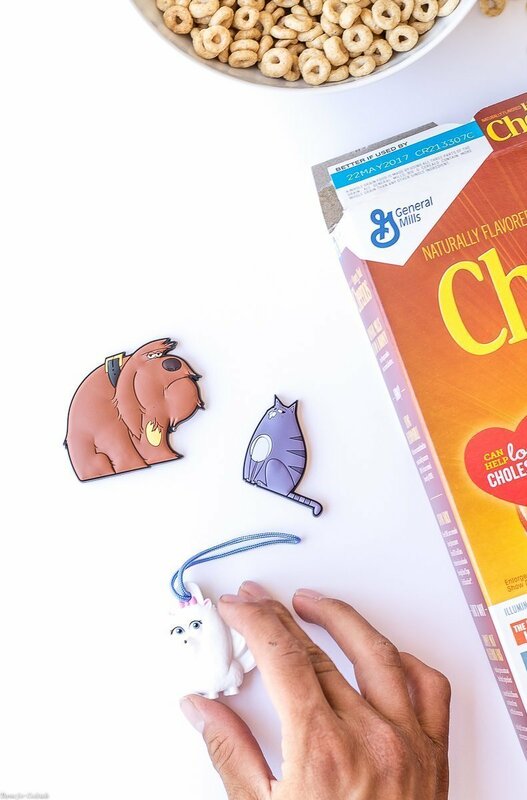 During the month of July you can enjoy them too along with a special The Secret Life of Pets key chain. 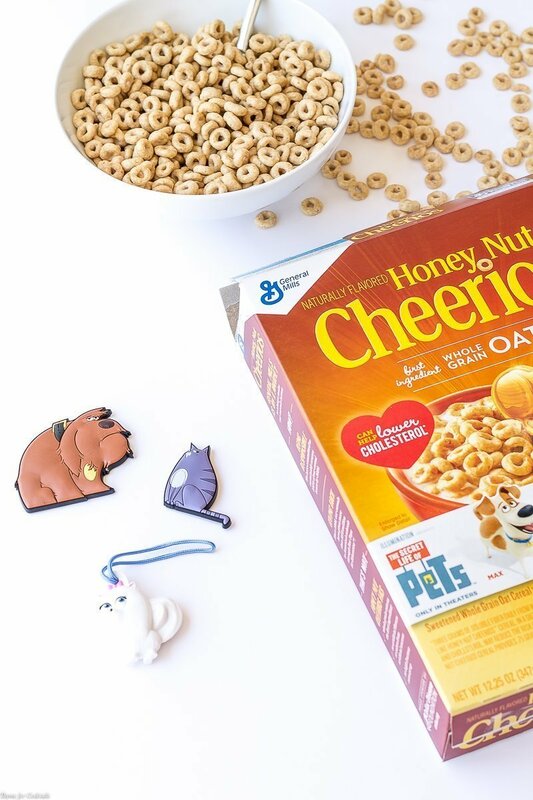 There are 6 collectible Pets characters in all including Max a pampered terrier mix found in Honey Nut Cheerios features and Gidget a naïve, but gutsy Pomeranian featured in Multi-grain Cheerios. The kid immediately snagged our Gidget collectible key chain as soon as the box was opened, but luckily I have a few movie-inspired magnets for the casa fridge. I am sure they will keep an eye on Boo while we are at the movie! We only have a few more weeks until the kid leaves for basic training and this is the perfect way for us to spend a family evening out. Since we love breakfast any time of the day you can bet we will be loading up on Honey Nut Cheerios before the movie. And if I snack my way through the whole box before then we can pick up boxes of Cocoa Puffs, Lucky Charms, and Trix which are also part of the offer! How excited is your family for the July 8th opening of The Secret Life of Pets?